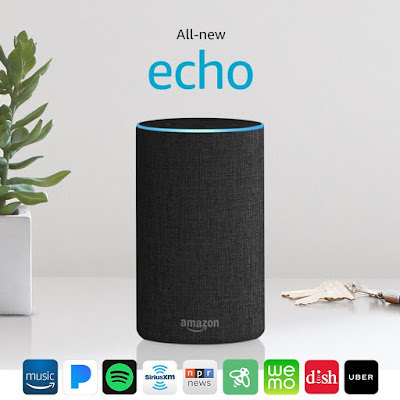 For a limited time you can get the ECHO 2nd Generation – Smart Speaker with Alexa for $84.99 Shipped (Retail $99.99). -All-new Echo (2nd Gen) has a new speaker, new design, and is available in a range of styles including fabrics and wood veneers. Echo connects to Alexa to play music, make calls, set music alarms and timers, ask questions, control smart home devices, and more—instantly. -Just ask for a song, artist, or genre from Amazon Music, Spotify, Pandora, and more. With multi-room music, you can play music on compatible Echo devices in different rooms. Echo can also play audiobooks, radio stations, news briefs, and more. -New speaker, now with Dolby processing for crisp vocals and dynamic bass response. Echo can fill the room with 360° omnidirectional audio. -Alexa is always getting smarter and adding new features and skills. Just ask Alexa to control your TV, request an Uber, order a pizza, and more. 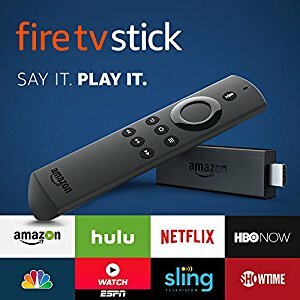 PLUS don't forget that Prime Members can get this Fire TV Stick with Alexa Voice Remote for $24.99 (Retail $39.99) when the additional $15 off discount is applied at checkout! This streams your favorite programs without the need to have cable or dish. Shipping is free but prices can change at anytime.